Almond oil known with the moisturize properties with no doubt which trapping moisture in skin all the time. The emollient properties get almond oil absorbed quickly into skin without greasy feel leaved. Almond oil also treats some skin problem such as skin allergy, skin inflammation or infection, minor wound and dark marks effectively. Other than that, layer of protection provided from almond oil to reduce the exposure from harmful ultraviolet and formation of skin wrinkles as well. 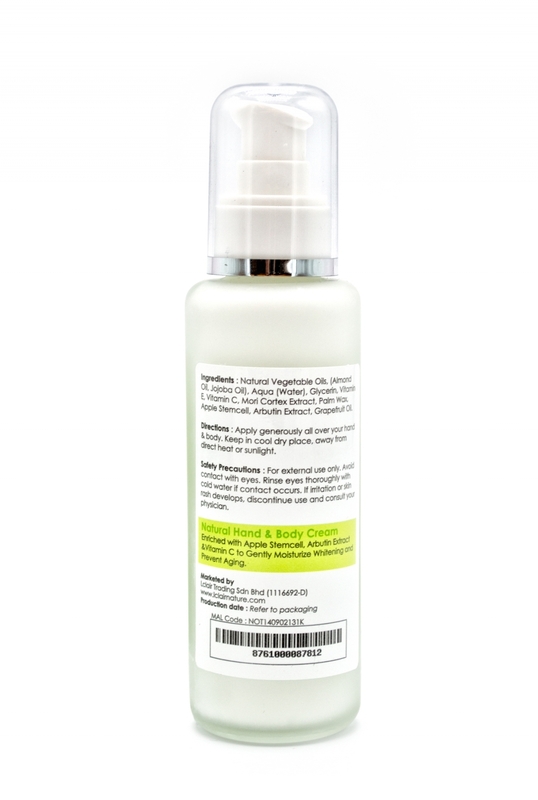 Jojoba oil is important ingredient which commonly found among skincare and cosmetic products. This light oil is effective in moisturizes and softens skin likes other oil do meanwhile able to regulates sebum. Furthermore, the non greasy and anti-inflammatory properties help to reduce acne-related and skin redness problems. Appearance of wrinkle and fine lines can be reduced by apply jojoba oil. Lastly, the cleaning properties enable jojoba oil to become make up remover. The miracles liquid with sweet taste is good rehydrant which helps in moisturizing skin. Glycerin is beneficial for lightening of skin to prevent skin from tanning and keep skin fairer and clearer. It has tendency to attract water on the skin while helps to circulate oxygen which increase the blood flow to turn skin glow. Besides, Glycerin fills in cracked skin formed by wrinkles to reduce ageing sign. So glycerin commonly found in moisturizer and lotions. By mixed with other natural substances such as lemon and rosewater, glycerin can give maximum benefits to skin. Arbutin give three main properties which are whitening effects by against damage caused by free radicals, anti- ageing effect and UVB/ UVC filter. It is the active substance originated from natural plant, bearberry which can whiten and lighten skin by inhibiting the formation of melanin by inhibiting tyrosinase activity. Furthermore, Arbutin is known as an anti-inflammatory, anti-bacterial ingredient and do not causes skin irritation which suitable for sensitive skin user. 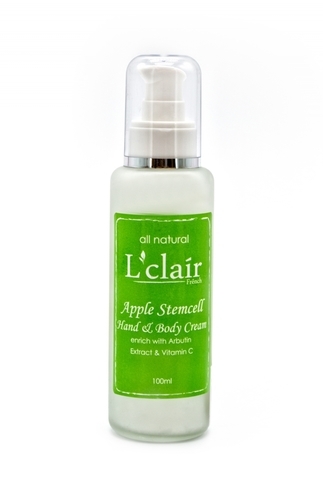 Other than the ingredients above, L´clair apple stemcell hand & body cream also contains aqua water, vitamin E, vitamin C, mark cartex extract, palm wax, and grapefruit oil.